The E-Cloth Deep Clean Mop Head is suitable for everey kind of floor, as well as for vertical surfaces. The special high quality e-cloth fibers removes thick grease and dirt from all hard sufaces. Floors are left spotless and stay clean for longer, without using chemical detergents, which are expansive and harmful for health and the environment. Easy attachment system: attaches with Velcro to Moppy plate. 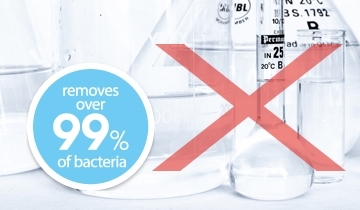 The E-Cloth Deep Clean Mop Head has been clinically proven to remove over 99% of bacteria - 99,9% used combined with Moppy. Compatible with Moppy, the new cordless cleaning solution with hot steam and no detergents. The special deep clean mop head long fibres, breaks up and holds grease and dirt which ordinary cloths leave behind. The Mop Head attaches with Velcro to the Moppy plate and is easily detached. 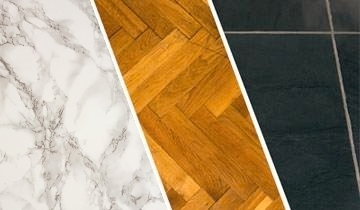 Brilliant on all hard floors including laminate, stone, tiles and wood. 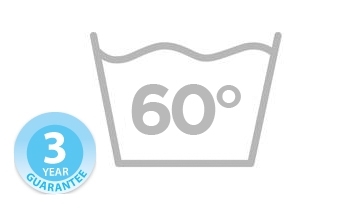 E-Cloths perform better, last longer and save money: they can be washed 300 times at 60°. They have a 3 year guarantee.